"The inverted periodic table is obtained by rotating the conventional one by 180° about a horizontal axis. "a, The lighter elements are now at the bottom and the filling of the electron shells occurs upwards. Just like the traditional representation, many properties (for example, atomic number) increase across the table as one proceeds from left to right, but in the inverted version, the same properties now increase as one moves from the bottom to the top, which is the way that most graphs are plotted. 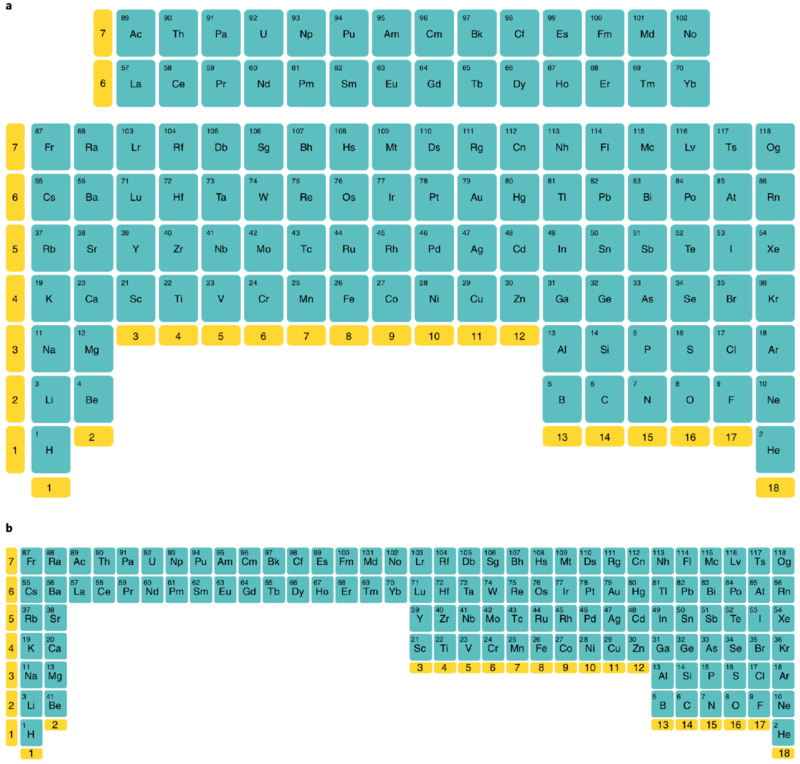 Also like the conventional table, the lanthanides and actinides still sit uncomfortably in an isolated block. "b, In principle, this could be overcome by inverting the 'long form' of the table but, like the conventional long form, it is probably too elongated to be very useful to most chemists."